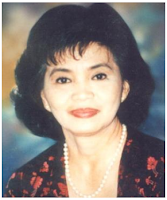 Prof. Dr. Clarita R. Carlos is the Elpidio Quirino Professor of International Relations (1995-96) and the Maximo Kalaw Professor of Peace and Environment (1994-95) of the University of the Philippines, Diliman. She received her PhD in Political Science from the same university. She was the recipient of two Fulbright fellowships: post-doctoral in political psychology at Cornell University (1982-83) and post-doctoral in comparative foreign policy analysis at the University of California at Los Angeles (1992). She was the former president of the National Defense College of the Philippines (1998-2001) and the current executive director of the Center for Political and Democratic Reform, Inc. Her notable publications include Democratic Deficits in the Philippines: What is to be done? (Konrad-Adenauer-Stiftung, 2010), Bureaucratic Reforms in the Philippines: Issues and Challenges (2004), and The Philippines in ASEAN: An assessment of 27 years of cooperation in selected functional areas (CIRSS, Foreign Service Institute, 1996). Prof. Dr. Sukarno D. Tanggol is the Chancellor of the Mindanao State University – Iligan Institute of Technology (MSU-IIT). 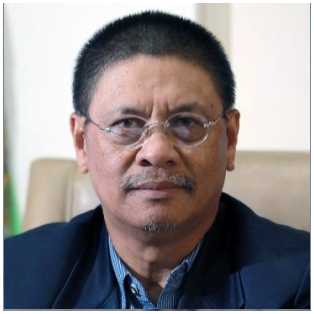 He earned his PhD in Public Administration from the University of the Philippines, Diliman and became professor at the Mindanao State University. He was a member of the Board of Directors of the Autonomous Region of Muslim Mindanao’s Social Fund for Peace and Development (2002-04), and the Philippine Ambassador to the State of Kuwait (1998-2002). He was the recipient of the University of the Philippines Alumni Association’s Distinguished Alumni Award in Peace & Social Cohesion (2013) and Distinguished Service Award of the Department of Foreign Affairs (2012). Some of Chancellor Tanggol’s notable publications are Regional Autonomy and Federalism: Concepts and Issues in the Bangsamoro Government (MSU-IIT, 2012) and Muslim Autonomy in the Philippines: Rhetoric and Reality (MSU, 1993). 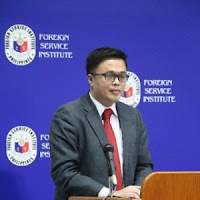 Julio Amador III is the Deputy Director-General of the Philippines' Foreign Service Institute. He was previously a Foreign Affairs Research Specialist in the Institute's Center for International Relations and Strategic Studies (CIRSS). He is a Yuchengco Fellow for the Young Leaders Program of the Pacific Forum CSIS, Fellow of the Ronald Coase Institute and the Salzburg Global Seminar, a visiting scholar at the University of California San Diego in 2007 and Australian Leadership Award Fellow at the Asia Pacific Centre for the Responsibility to Protect in 2012. He is a Fulbright Fellow for graduate studies in the US in 2012 at the Maxwell School of Citizenship and Public Affairs, Syracuse University. He was recently Asia Studies Visiting Fellow at the East-West Center in Washington, D.C. Amador’s publications include “ASEAN in the Asia Pacific: Central or Peripheral?” in Asian Politics & Policy, “Community building at the time of Nargis: The ASEAN response” in the Journal of Current Southeast Asian Affairs, and “Issues and Challenges in ASEAN–India Relations” in India Quarterly: A Journal of International Affairs.